This quote came to mind today as I was baking soda cupcakes (details later) as a mindfulness practice. Today has been quite an ordeal. I received a phone call at 5:30 am that a close family member had an emergency, and I was asked to help. I'm on the west coast. She's on the east cost. But luckily, in today's world, this didn't pose much of an obstacle. She's safe for now. I can sleep well knowing that. I won't get into all of the details, but she's decided to trust that she is more valuable, loved, and supported than she may have previously believed. She's taken a big step in her life, and I am so blessed and proud to be a part of it. At the same time, I'm really stressed. When I was little, she had gone through a similar crisis that lasted for years, and I was a helpless child. The resources that exist today were not in place back then. I still suffer from time to time with PTSD symptoms over the incidents of the past, and her present situation jolted me. But it's not about me. It's about her. I decided to not get carried away by the pain of the past by grounding myself in the present, which ultimately led me to be able to be more effective in supporting her while also taking care of myself. How did I do this? 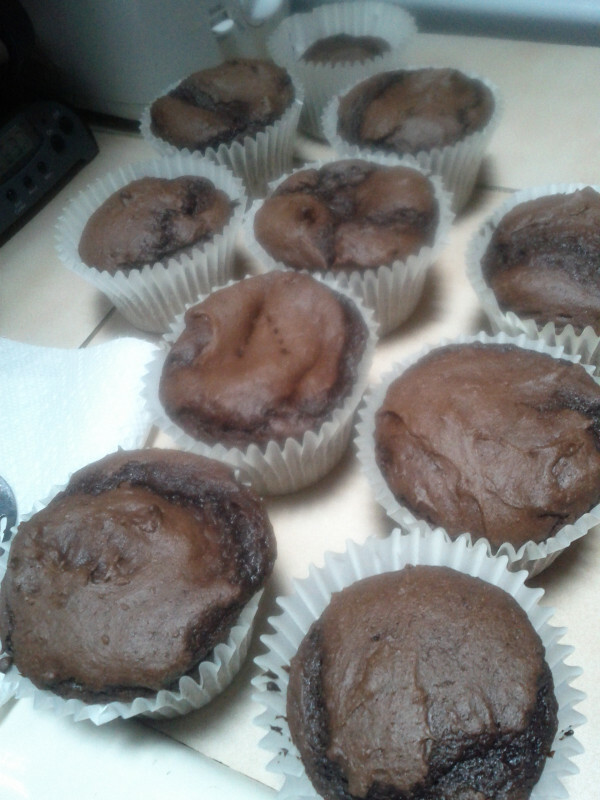 I baked. 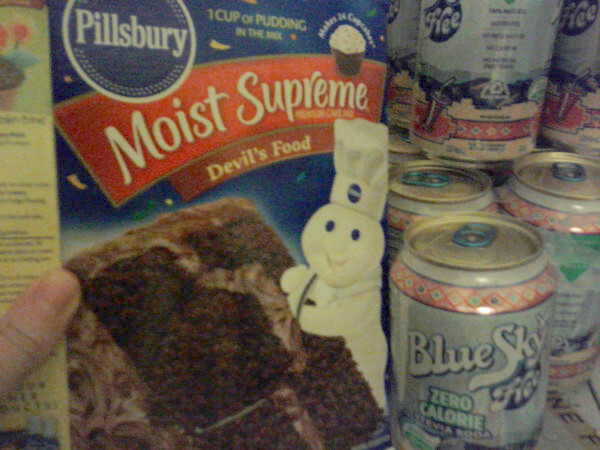 I mixed the ingredients. I lined the muffin tins with paper liners. 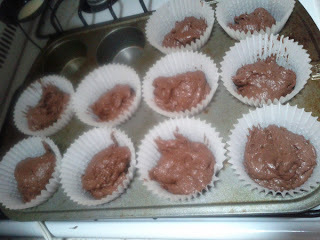 I scooped the batter into the liners, one by one. I placed the tray into the preheated oven and set the timer. 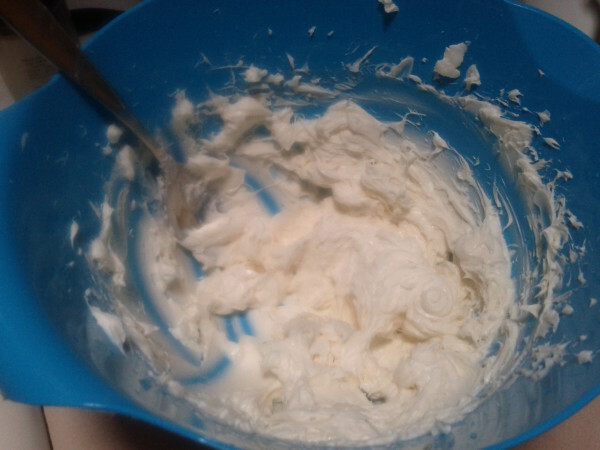 As I waited, I mixed some reduced fat cream cheese with Splenda and vanilla extract with my mixer until fluffy and until it tasted a little bit sweet. Then, I sat on the stairs and waited. The batter, free of raw eggs, was incredibly yummy! When they were finally done, I pulled them out to cool, and I stood on the stairs and waited. 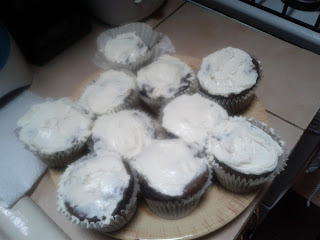 Once cooled, I frosted them, put them in the fridge, and waited. Step by step. Details by detail. Yes. These cupcakes taste as scrumptious and fudgy and dense as they look! About an hour after I had begun the process, I was eating - and thoroughly enjoying - one of the best cupcakes I'd had in a while. It felt very satisfying. Though I didn't make them completely from scratch (though, let's face it- all the Pillsbury Dough Boy did was combine my dry ingredients for me) I didn't just pick them up from the bakery either. I grounded myself in the experience, right in this present moment. The movie quote at the beginning of this post was in my mind. 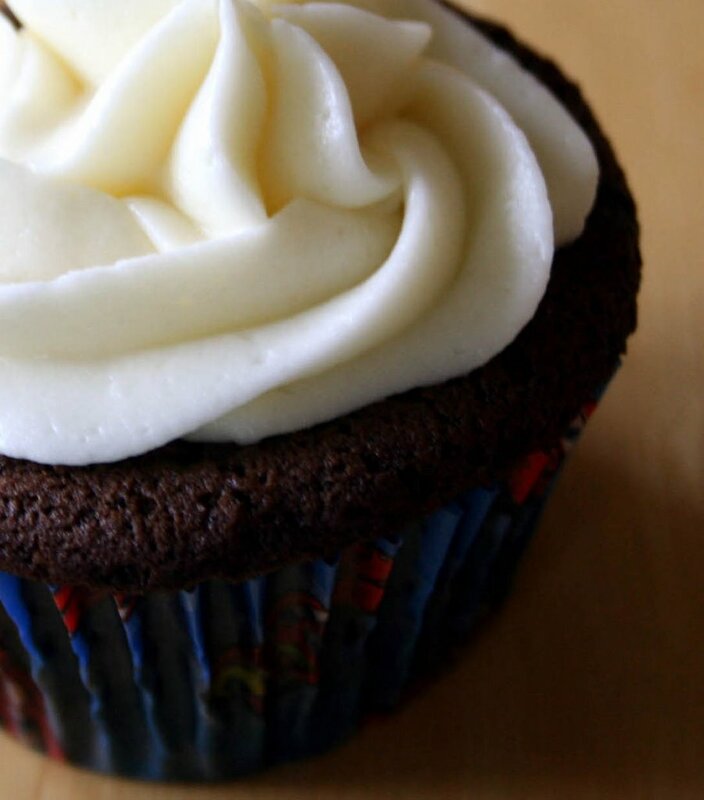 I knew that I could take comfort in the fact that if I baked, step by step, I could count on the results. Even in taking the risk by using the soda, all turned out well. I may not be able to control everything around me...but I can bake. What kind of activities can you engage in to ground yourself during times of stress? What has worked in the past? What is something new that you may try? Well done, and what an interesting idea. i crochet. or knit or cook something stewey either vegan, veggie or omnivorous, depending on what i have and who i want to share with. having said that, can't do that stuff if i am very down. Sulilo 10k Views Celebration Giveaway! What do I see in her?!? On the Bus with....No Pants On?